Time to make a small confession. I'm really a coffee runner. Most of my days start with a run. Knocking back a couple beers afterwards that morning and then getting into my car and heading off to work has certain complications. So my post-run beverage of choice is a glass of water followed by a couple cups of coffee. Running and coffee gets me ready to handle life's challenges during the day. Beer in the evening me to relax and recover from what each day throws at me. I run alone most of the time, but some Saturday mornings I get a chance to meet with run friends at the Los Gatos High School. We usually do between 2 and 4 miles of tempo running around the track for and then catch up on things chatting away during our cool down. Then we head to a nearby Peet's afterward for coffee and a scone before we all go our separate ways for the rest of the weekend. Most runners I know are morning people, so the post-run beer is rarely an option. So yes, I'm really a coffee runner. Feels good to finally get that off my chest. Redhook's Audible Ale sounds like one of those tired sports marketing gimmicks. At least that's what I thought when I when the press release landed in my in-box, declaring Audible Ale the official craft beer of The Dan Patrick Show. 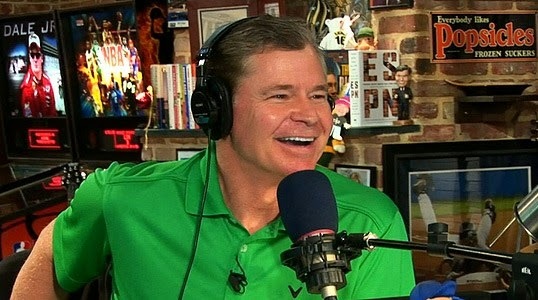 OK, I find sports radio personality Dan Patrick to be one of the least obnoxious personalities of his genre. Apparently Dan Patrick and his in-studio team, The Dannettes were involved with everything from the beer recipe to the packaging and even the tap handles. I was about to dismiss this as yet another marketing pitch when a small fact suddenly caught my eye. Audible Ale won Gold at this year's World Beer Cup in the Classic English Style Pale Ale category. “We’re incredibly proud of Audible Ale,” gushed Redhook brewmaster Matt Licklider in the release. “Our goal from the beginning was to brew a beer that stayed true to the style and exhibited lots of flavor, yet was sessionable enough that drinkers could enjoy more than one while watching the game. Since the initial launch, feedback has been incredible from both longstanding Redhook fans and new fans." Redhook asked me if I wanted to sample Audible Ale, and not one to turn down award winning beer, I agreed. I can see why it won gold. It's got this interesting flavor combination of light, toasty malt with a little nuttiness to it and a grassy hop finish. It's one of those highly underrated beers that can effortlessly recede into the background during a night out, yet contains all sorts of subtle flavorful complexities should you wish to focus on them. Which got me thinking, what specifically did Dan Patrick actually contribute to final Audible Ale brew? Did he simply take a few swigs and say, "Yep, that tastes pretty good." Or did he determine the optimal mashing temperature, formulate the hop composition, or provide his own yeast strain? Could there come a day when Dan Patrick leaves the broadcast booth to start his own brewery? I'm afraid my query to through Redhook's public relations team was inconclusive. Asking my Redhook public relations contact for more specifics on Patrick's contribution to Audible Ale, he assured me that Dan Patrick's involvement "is far more than your standard endorsement deal. Dan Patrick was a Redhook fan before Audible Ale and he’ll be a fan after Audible Ale. One thing of which I can assure you is that he worked hand in hand with Redhook brewers and was, shall we say, very involved in product testing throughout the development process." Make of that as you will. to start his own brewery? After cooing over the subtleties and nuances of a couple of pale yellow brews for the last Beers of the Month, it's high time I choose one that will put some hair on your chest. So this time around, I'm going with Bear Republic's Apex IPA. Apex IPA is a testament to both Bear Republic's hop alchemy and truth in advertising, as Apex does indeed reach the ultimate height the West Coast IPA can possibly reach. I knew this was going to be good the nanosecond all those wonderful grapefruit aromas hit my nose. Behind all those aromas were flavors of great depth and brightness of grapefruit and floral notes produced by a blend of Cascade, Columbus, Centennial, Cinook, Mosaic and (whew!) Citra hops. Underneath all those hops is a dry, hefty neutral malt backbone fully supporting all those hops while letting all their flavor notes shine through. At 8.95% abv, it's either a strong IPA or a light Imperial IPA. You decide. Bear Republic has been brewing Apex for a few years and even won Silver at the 2006 Great American Beer Festival but this is the first year they started bottling it. This is seriously the West Coast IPA all other West Coast IPA's should aspire to. So, if you ever meet one of those jaded beer hipsters that tell you "Pliny the Younger isn't that good", you'll know they've had an Apex. Or at least they should have. Let us begin this month's Session with a toast to Boak and Bailey who saved our long running Session streak by volunteering to host it at the 11th hour. And kudos to them for picking a throwback topic of Traditional Beer Mixes, taking us back to the days when The Session was more about drinking a beer and writing about it rather than the more recent topics that have mostly involved waxing philosophically about beer. Not that there's anything wrong with that. I must confess that I've never had any of traditional beer mixes mentioned in their Session announcement. So for this beer cultural conscience raising experience, I decided to experiment with the Lightplater, a mix of a bitter and light ale by putting a Northern California spin on it. I've enjoyed Anchor Brewing's new spring Saison release with its tangy lemon character. For the bitter, I chose the Northern California version of the traditional bitter, the session IPA that's all the rage these days. One of my favorite session IPA's is Lagunitas Day Time IPA. I figured a 50/50 mix of Anchor's tangy Saison and Lagunitas bitter IPA would create an Asian-like vibe with a balance of bitter and sour. And indeed, mixing the two created that yin yang of flavor. What I didn't anticipate was a strong fruitiness to the combination, with the result tasting like a liquid Asian bitter melon. (Never mind that I've never actually eaten Asian bitter melon.) Perhaps that is part of the hidden beauty of beer mixes, the combination creates unexpected results that neither component contained itself. Maybe the bigger question is this: "Is it possible to create this beer with these flavors from a single mash, boil and fermentation?" My guess is the answer is no, but I'll leave those questions to the experts. I'm too busy enjoying a refreshing Northern California Lightplater to worry about stuff like that. Listening to all the news about California’s drought, most people aren’t thinking about beer. Perhaps they should. It takes a lot of water to brew beer. To produce each pint of beer, a typical brewery consumes five pints of water, used mostly to clean and sanitize the brewing equipment. Factor in the water required to grow the barley and hops and somewhere between 8 and 24 gallons of water is required to produce a single pint of beer, depending on what part of the world the barley and hops originates. 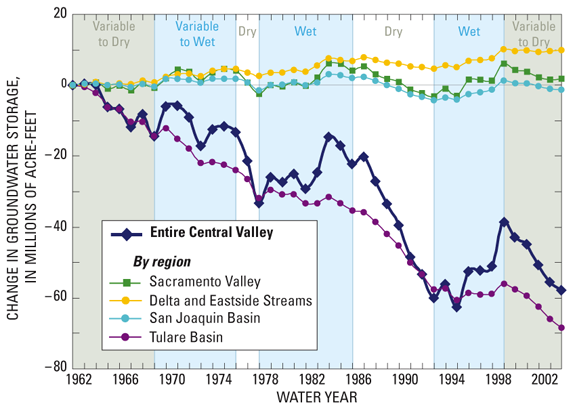 So it stands to reason that California’s breweries could be greatly affected by California’s current drought. There is concern at Petaluma’s Lagunitas Brewery that Sonoma County may switch its water supply from the Russian River to more mineral heavy ground water from wells. “It would be like brewing with Alka-Selzer,” says Jeremy Marshall, head brewer at Lagunitas describing this to NPR News recently. The mineral composition of water can have a dramatic effect on the taste of the beer. Historically, most traditional European regional styles were partly a function of the flavor profile imparted from region’s unique water mineral content. Today, most modern breweries carefully monitor and sometimes modify their water to better control the flavors imparted by the hops, malt, and yeast. For breweries that normally rely on surface water, a switch to ground water due to the limited water supply may result in a decidedly different flavored brew. Some breweries simply don’t have the resources to modify hard well water, resulting in possible off-flavors in their beer. So if beer from your favorite brewery start tasting a little funny this year, it may be from the water. Of course, given that drought leads to widespread starvation and disease in other parts of the world, funny tasting beer is a decidedly “first world” problem. Like many breweries, Sierra Nevada is actively finding ways to reduce their water footprint in light of the current drought. “You’d be surprised how much water we save with automatic shut-off controls that turn off the hoses when they aren’t being used,” remarks Cheri Chastain, Sustainability Manager at Sierra Nevada. Other efforts involve modifying the chemistry of their cleaning systems to reduce water usage and removing lawns around the brewery and non-drought resistant plants on the brewery grounds. In one initiative, water used in Sierra Nevada's bottling line to rinse the bottles was recycled used to cool the vacuum pumps dispensing beer into the bottles, saving an estimated 2 million gallons a year. “We’ve seen a 10% drop in our water consumption as a result of these efforts,” explains Chastain. Sierra Nevada has not experienced any disruptions in their supply of hops and barley malt, since more than 90% of their hops is supplied from farms in Oregon, Washington, and Idaho, states that have experienced relatively normal weather patterns. Most of the barley that’s malted to brew beer at Sierra Nevada is grown in Eastern Montana and North Dakota, which have also experienced normal weather. Most breweries source hops and malted grain from these same locations. So the good news is that while it’s possible some beer might start tasting a little different, there’s not going to be any shortage of it. 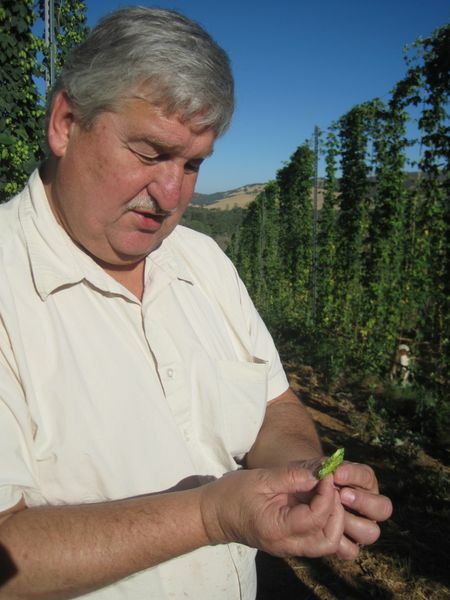 Marty Kuchinski is one of the few hop farmers in California. His farm is located near Mount Konocti in California’s Lake County, where the volcanic soils provide an ideal location for his 200 acres of organic hops to grow. Marty’s customer list reads like a who’s who of California brewers, and includes Russian River, Bear Republic, Speakeasy Brewing, and Ruhlstaller. “I’m just hoping my ground water doesn’t run out,” he confides. While he confidently sees his crop size remaining on target, he concedes that this growing season will be uncharted territory. “Everyone seems to be hanging in there….so far”, summing up the feelings of area farmers. While it’s likely California’s brewing industry will survive the current drought largely unscathed, it’s definitely a wake-up call. Breweries are realizing water is more precious, turning to water conservation efforts or working with local officials to ensure a reliable water supply. as shown in a USGS report.